Click on an image above to learn more about the biology and life history of that species. The Council manages the Atlantic mackerel, longfin squid, Illex squid, and butterfish (MSB) fisheries under a single Fishery management Plan (FMP). The management unit includes all U.S. waters off the U.S. East Coast. There is recreational fishing for Atlantic mackerel (for food and bait), but the majority of harvest is commercial for all four species, with bottom and mid-water trawling accounting for most landings. Commercial landings are used in a variety of food and bait markets, both domestically and for export. There is substantial uncertainty regarding these species because their distribution and productivity are likely highly dependent on environmental variables. The Council uses annual quotas based on recommendations from the Council's Scientific and Statistical Committee for all four species. These quotas account for both scientific and management uncertainty. 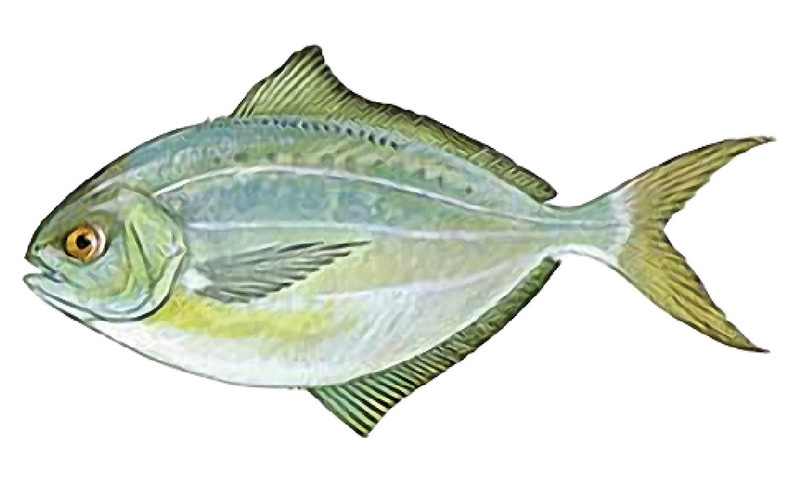 Ecosystem considerations have become a prominent issue for these fisheries. Please see the Council's Ecosystem Plan page for more details. Note: longfin squid used to have the scientific name Loligo pealeii and are often still referred to as "Loligo." Click here for more information, including years and objectives of each of the FMPs and amendments listed below. Fishery Performance Reports (FPRs) are developed every year by each fishery's advisory panel to provide the Council and SSC with a description of the factors that influenced fishing effort and catch within each of the Council’s fisheries. Fishery Information Documents (FIDs) are annual summaries of the most recent catch, landings, and effort data. The Council has approved a 2,000 metric ton increase in the Acceptable Biological Catch (ABC) for Illex squid in 2019 and 2020. Beginning August 15, 2018, through December 31, 2018, federal Illex squid vessel permit holders are prohibited from fishing for, catching, possessing, transferring or landing more than 10,000 lb (4,535 kg) on Illex squid per trip per calendar day. As of 00:01 local time on February 27, 2018, vessels issued Federal Atlantic mackerel permits may not fish for, possess, transfer, receive, land, or sell more than 20,000 lb of mackerel per trip or calendar day through December 31, 2018. The Council has discontinued development of a framework action that would have considered establishing a squid fishery buffer zone in waters south of Martha’s Vineyard and Nantucket. NOAA Fisheries proposes squid and butterfish quotas for the 2018-2020 fishing years and will maintain the mackerel quotas previously set for 2018.Comments on this rule must be received by 5 pm on January 12, 2018. NMFS has announced that the directed federal fishery for Illex squid will close on September 15 for the remainder of the fishing year.